Set in the north of England on the wild moors and craggy hillsides of Yorkshire, it has always been touted as a romance, but can surely be seen as a story of passionate revenge. Catherine and Heathcliff have a relationship that is ever-suffering. Their dark pull toward each other is fierce and somewhat tormented. It depicts what in humans can not always be controlled. This book is definitely my favorite classic of all time! I cherish it differently every time I read it. 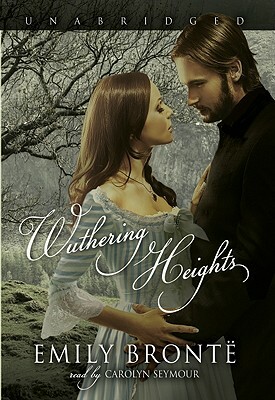 The sole novel of Emily Bront , who died a year after its publication at the age of thirty, Wuthering Heights is one of the most original classics in the canon of English literature. Set amid the wild and stormy Yorkshire moors, it is the tale of childhood playmates who grow into soul mates, and whose tempestuous natures and obsessive love eventually destroy them and those around them. High on a windy hill, the old gothic manor of Wuthering Heights is the ancestral home of the lordly Earnshaw family. When kind Mr. Earnshaw adopts Heathcliff, a wild child from the slums, he unwittingly sets in motion a cycle of love and revenge that will possess his family for a generation. Heathcliff is despised and abused by Earnshaw's son and heir, Hindley, who views him as a rival. But Heathcliff's tempestuous nature finds its match in Earnshaw's daughter, Catherine, and the two become inseparable. When Hindley becomes master of the estate, he forces Heathcliff to work as a degraded hired hand. Cathy, now divided from Heathcliff by social status, decides to marry the civilized Edgar Linton in hopes of gaining leverage to protect Heathcliff from her brother. To her despair, Heathcliff disappears; but he returns a few years later, now a wealthy gentleman, intent on using his new power to ruin Hindley, Edgar, and anyone who dared to drive a wedge between him and Cathy. Fraught with psychological tension and supernatural atmosphere, Wuthering Heights is a haunting tale of the exalted heights and destructive depths of human passion.